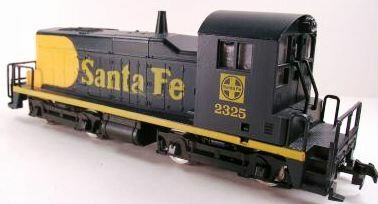 AHM's early 1980s catalogs include the Santa Fe SW-1, but the model is shown wearing the road's freight warbonnet scheme and not the earlier pre-1972 freight scheme displayed first above. 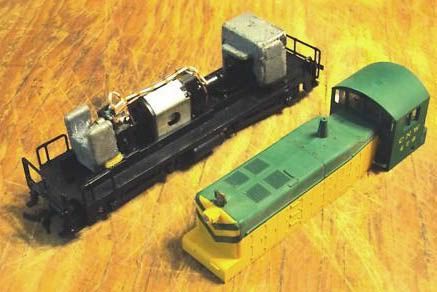 AHM's HO-scale EMD SW1 Switcher arrives in 1976 and a review of it may be found in the September 1976 RAILROAD MODEL CRAFTSMAN magazine. The reviewer states, when compared to blueprints, the AHM SW1 is oversized in nearly every direction. 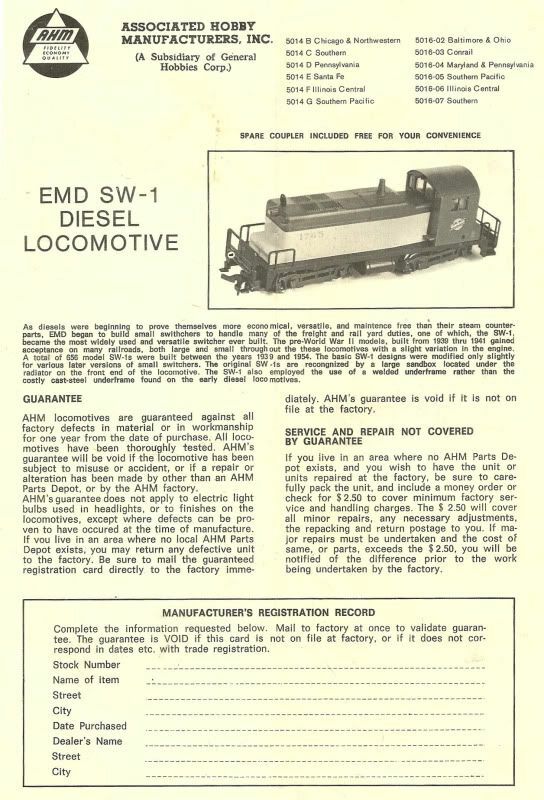 RAILROAD MODELER in its October 1976 issue reviews AHM's SW1 and also points out some dimensional issues. The review there suggests the SW1 is a scale four feet too long. The model was produced in Yugoslavia. Origin marks are found on the fuel tank of the model. An example in my collection shows a raised AHM logo, RSO, ATEST, Z-75351, plus MADE IN YUGOSLAVIA. 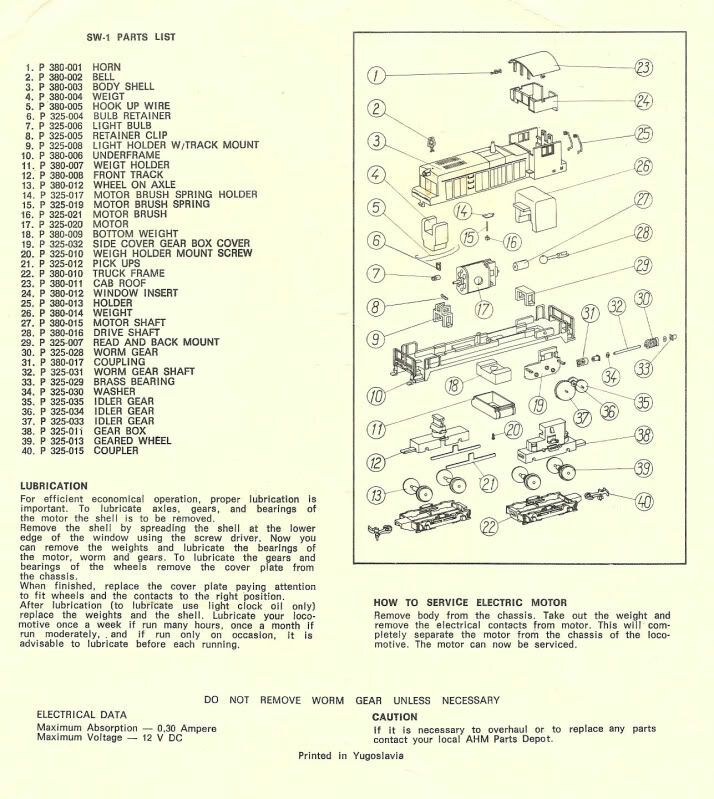 The SW1 was powered by a 3-pole motor housed in the center of the frame with a drive to the front truck. The model's design includes the use of traction tires. The model included three weights, two on each end of the frame and one in the fuel tank. By the early '80s, AHM began offering a revised SW1 that featured a brakeman figure standing out on the unit's front porch area. The brakeman holds a lighted lantern, which is actually a red bulb. A close relative of the AHM SW1 has been offered over the years by Model Power.